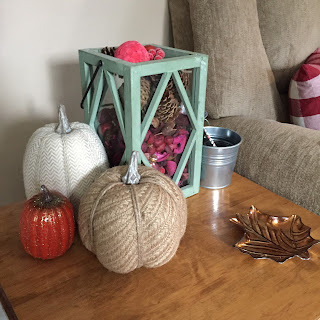 My love for Fall knows no bounds.... With a brand spanking new house I was simply dying to decorate for Fall. The only issue is my lack of income thanks to Law School... I don't like to spend all my Hubby's money so I had to be very frugal. Decorating for Fall does not have to be expensive to look great. 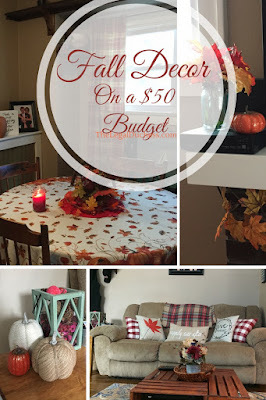 Here is how I decorated my three most used rooms on a $50 budget. 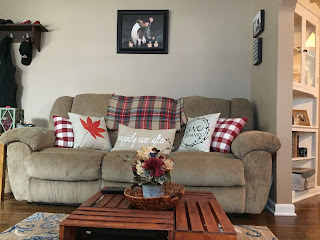 In my living room, I wanted to decorate the most as we spend 98% of our time there. 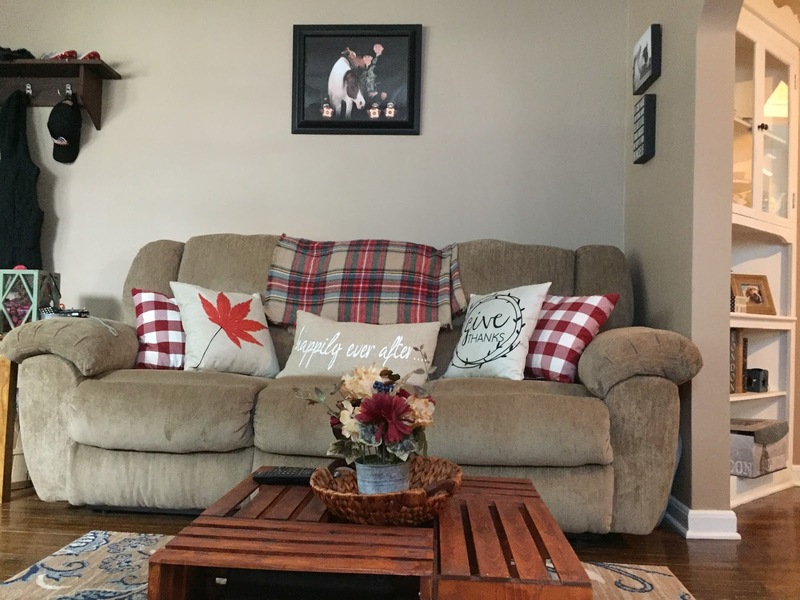 A few fall themed throw pillows, a plaid blanket, some Fall flower arrangements, pumpkins and leaves made up my decorations. 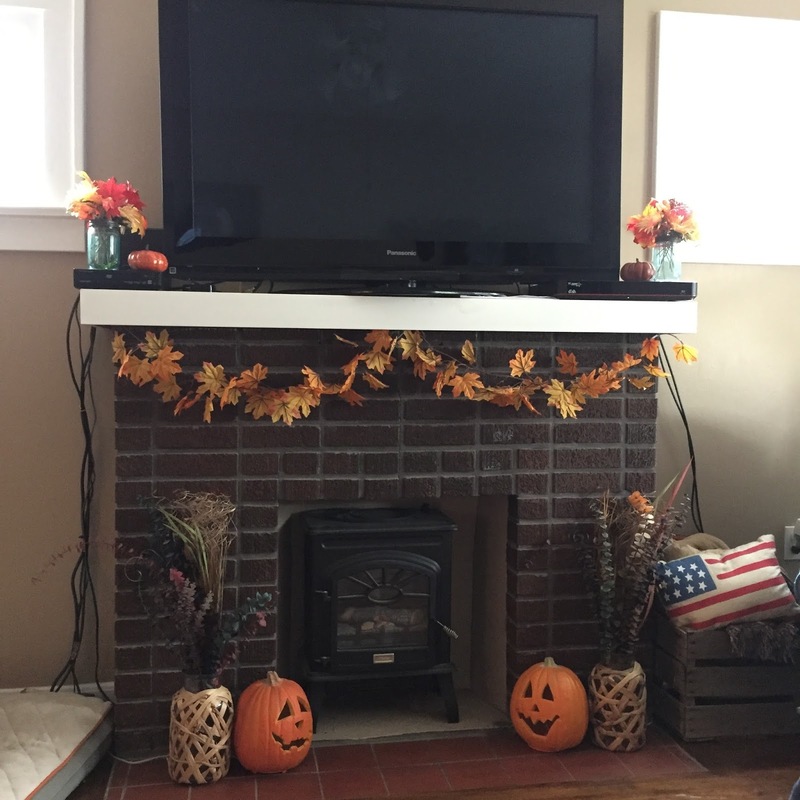 It was simple but made such a difference; the room feels so warm and cozy and Fall-tastic. 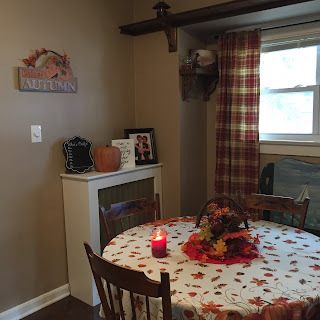 I decorated quite a bit in our dining room as it flows right off the living room on our main floor. A themed tablecloth, centerpiece and new wall hanging made for an understated but very pleasant Fall decor. 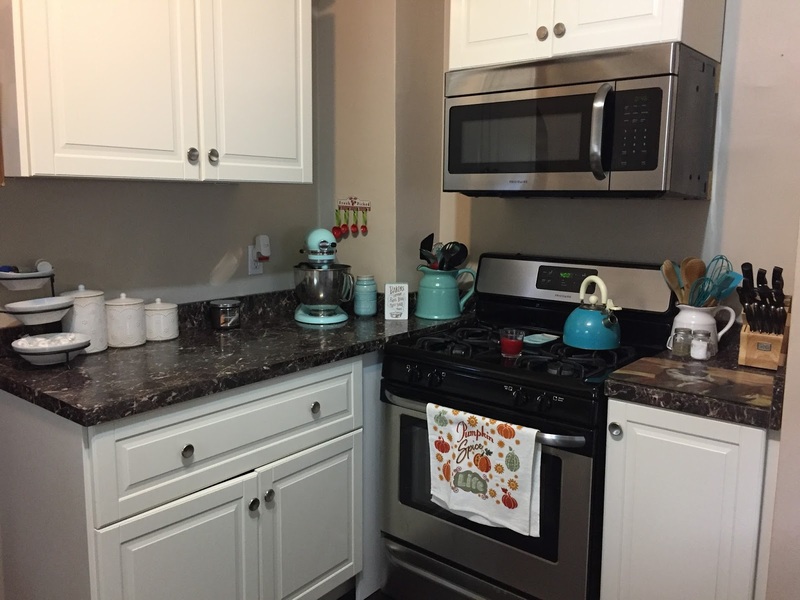 Our kitchen is very small so it is limited in decorating options. I settled for a Fall towel and cinnamon apple candle to give it a little pop of Fall. So there you go! 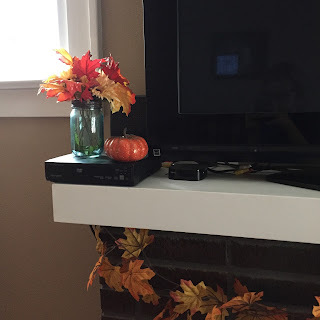 My budget decorating. I love the final product: it is so cozy and makes me just want to curl up with hot apple cider every time I walk in my door. I linked as many items as are still available (though some prices have changed since I purchased). 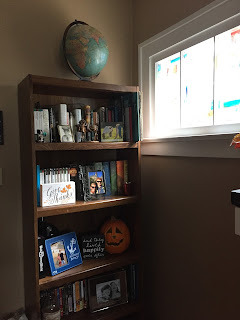 We were lucky with a few holiday themed wedding gifts (cutest idea ever!) 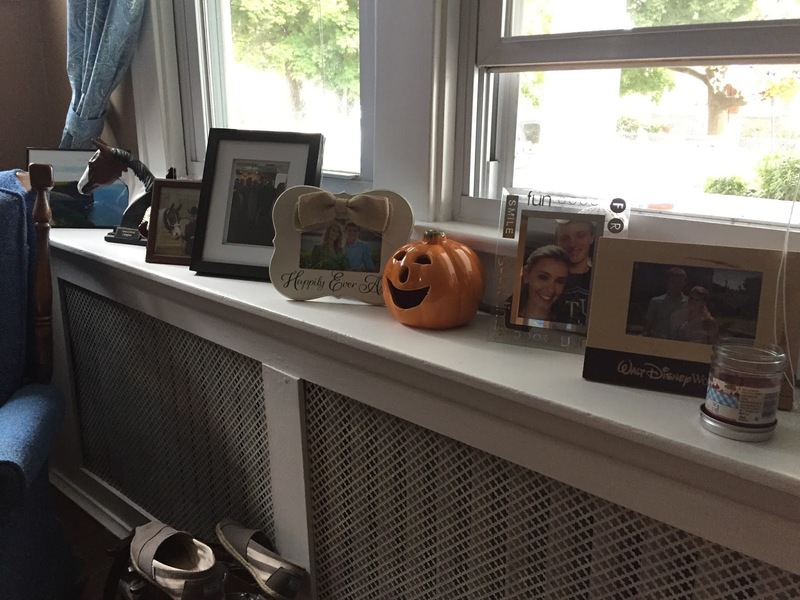 that helped keep our costs down as well as our parents let us raid their old decorations in the attic. 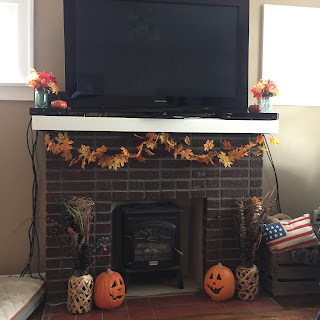 Overall, we stuck to our budget and got a nicely decorated home as a result! !